This adorable and good-natured breed is known for being extremely devoted to its owners. They are a small size between 1 and 2 feet tall and are great herders even at such a small size. Extremely motivated and loyal, they are great around horses and serve as a great companion to anyone. Like with Miniature Australian Shepherds, the beautiful coloring of this herding dog breed can be black, red, red merle, or blue merle and you’ll notice that no matter their size they are extremely agile dogs. Great runners, even in the roughest of terrain, they are extremely energetic and smart as well as being rugged. They’re ideal for herding do quite well in most households, as long as there is plenty of space for them to run and play. They are even moderately friendly with strangers and don’t get too territorial, which can be important if you have other animals in the house. If you’re looking for a watchdog, they’re also great for this purpose, though you may find that they want to play with most everyone that comes through the door. When it comes to nutrition it’s important to feed your Miniature American Shepherd a quality diet that’s appropriate to their age. They should also be monitored carefully when it comes to weight because some of this breed are actually more prone to gaining weight than others. Keeping their calorie countdown to a moderate level is important, especially in training as too many treats can be a problem. Giving only moderate treats and making sure to talk with a vet about the type of treats and the type of human food that is safe is important. You don’t want your dog to get overweight or obese as this can lead to health problems further down the road. 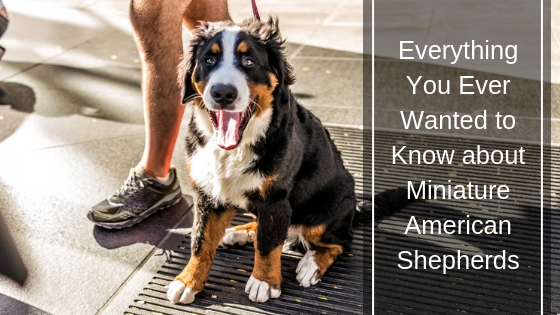 The fact that the Miniature American Shepherd has a double coat means that it tends to shed quite a bit. The wooly undercoat and the long outer coat definitely make this a problem during the shedding season, which occurs twice a year. By brushing their coat at least weekly of this herding dog breed, you’ll be able to cut down on some of the shedding and get rid of dirt. Brushing both the overcoat and the undercoat is extremely important as matting can occur on the underside of the coat. A stiff brush or possibly a pin brush are best for this. During shedding season, it’s important to brush their coat every day to make sure that shedding doesn’t become too much of a problem. Also, getting rid of matting or tangles as soon as possible, usually with a metal comb, will keep them looking and feeling even better. You likely won’t need to trim their fur, though some choose to trim up the ears or around the feet and tail to help get some of the long hairs that might otherwise bother your dog. Trimming their nails frequently is also important to improve comfort as well as brushing their teeth. Plenty of exercise is crucial with this breed as they are extremely active dogs. They want to get out and run but they actually adapt quite well when it comes to their family. If you aren’t getting out quite as much they can adapt relatively well to that and will be able to accommodate a less extensive exercise regimen. 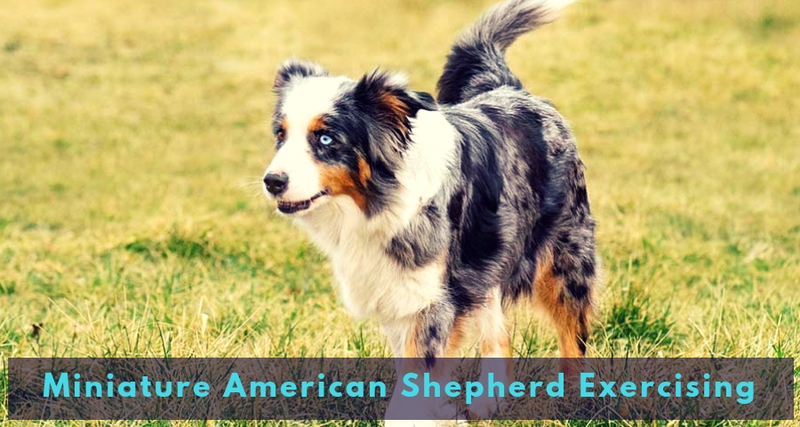 Exercising their mind and body is an important step, however, and things like agility and obedience training and even tracking can be a great deal of fun for the Miniature American Shepherd. They want to do something that is more than just physically active. If you’re looking to get your dog involved in some training you’ll want to get them started as early as possible. With this breed, it’s actually quite easy to get them trained well because they are extremely eager to please and smart at the same time. They reach a great deal of potential when they’re given proper training and will make the best pets and the best companions if you take care of these needs for them. Good Dog For Emotional Support? These dogs are extremely friendly and loving. They are also very playful and tend to make great pet puppies that offer support. They really want to get up close with you and spend time with you, which makes them great for keeping you company and helping you feel better. They’re sensitive to your needs and do very well with plenty of attention, forming extremely strong bonds with their owners. This means that they will continue to care deeply about their owners and taking care of them. Overall, they’re an affectionate and extremely fun and vibrant dog when they’re well taken care of and they don’t have many health problems as a result. This means getting eye exams as well as sensitivity testing to make sure that they are healthy from the time you first get them, which a reputable breeder should do for you. 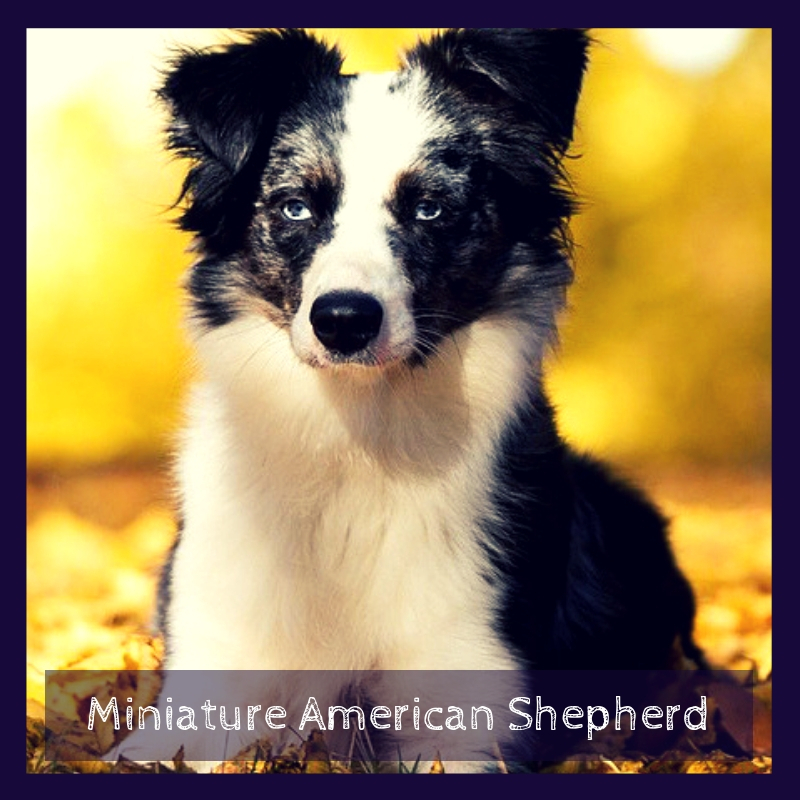 Overall, you’re going to have a great companion in a Miniature American Shepherd. They are fun and playful dogs that really want to spend time with you and really enjoy your company. If you get them trained right from the start they’re going to do very well as companions and they make good emotional support dogs. The smaller size of this breed makes them great for traveling with you and the compassionate nature definitely helps with the emotional support you’re looking for. It’s all about how much energy you’re able to devote to your new dog because they’re definitely going to want to spend a lot of time with you.